Greetings! Before I get to the outfit post, let me share some happenings with y'all! In non-style news, my comedy team is having quite the field day--literally--as we are pretending to be in the Olympics for oh-so-real events like thumb wrestling and Pop Tart "cook offs". I'm not going to lie...this has been a LOT OF FUN to shoot and some of my favorites haven't even been released yet! Check us out on social media to follow (Blog/Facebook/YouTube/Twitter/Instagram) to follow the insanity! 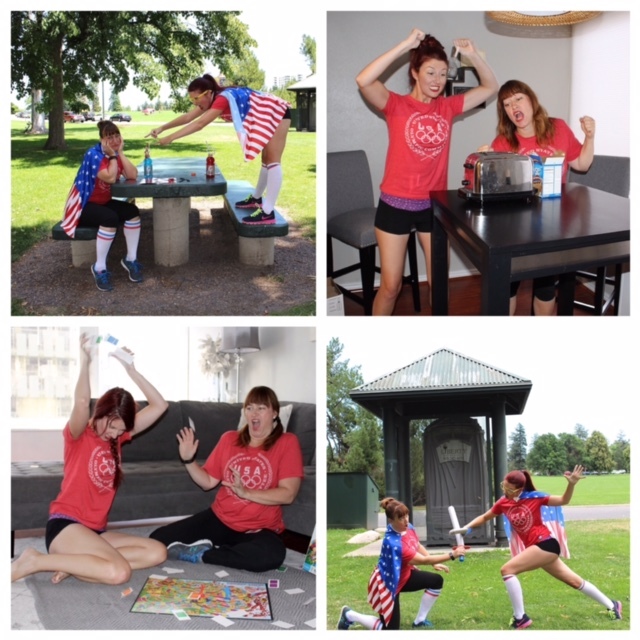 And here's a few favorite stills from our "events" so far plus our first of 4 Olympic videos. This one is on the weirdness of the torch, Parade of Nations, and Olympic Village. In honor of working with ModCloth today, I'm wearing (almost) head to toe ModCloth! Come August I love wearing black, because it feels so summery against lighter colors making an outfit (and a potential tan) pop! I'm obsessed with this hedgehog shirt (I reviewed this brand of shirt HERE and unboxed this actual shirt in a video HERE!) and I thought it would be perfect to pair it with the now out of print flamingo color of the Breathtaking in Tiger Lilies skirt (I reviewed those skirts HERE). How about you friends? Is black a strictly colder months color for you or do you like to rock it during the summer as well? 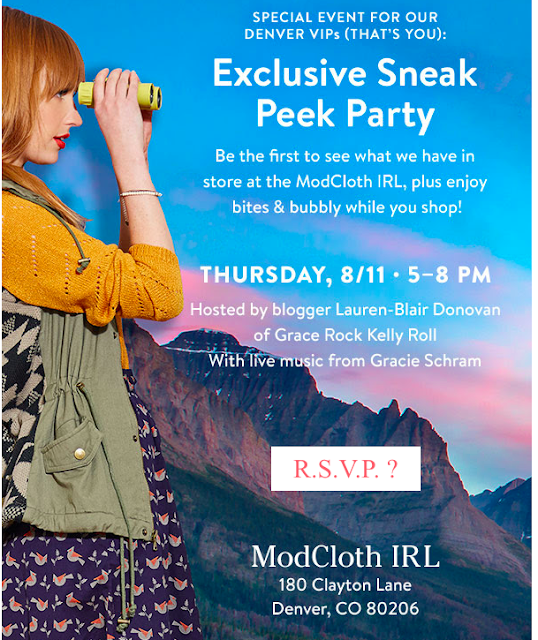 So again, if you are in Denver, definitely stop on by the ModCloth IRL event tonight (and shop there throughout September 5th!). Hope to see you there!! FYI: I'm such a space case with identifying people from the Internet in a real life context, so don't take it personally if we say hi and it takes a second for the light bulb to go off in my head! (It will eventually go off though! I promise, haha). Too bad I'm not in Denver! But I'm looking forward to seeing more of your Olympic videos! Oh my god, how exciting! I can't wait to hear about how it went!! The outfit is absolutely perfect -- tops with tie-necks are extra fun. I haven't ordered anything from Modcloth in months, but I have a few things in my cart that I'm ready to pull the trigger on. Hope you had a blast!! LMAO!!! You girls look like a hoot and having so much fun! Haha! I wish I'm in Denver, it would be amazing to meet you in person. Oh man, I used to love modcloth. The prices killed my wallet, however! I love that color on you--the skirt is beautiful. Yay for ModCloth opening. Your comedy team looks like fun. Great outfit. I am loving that color combo. 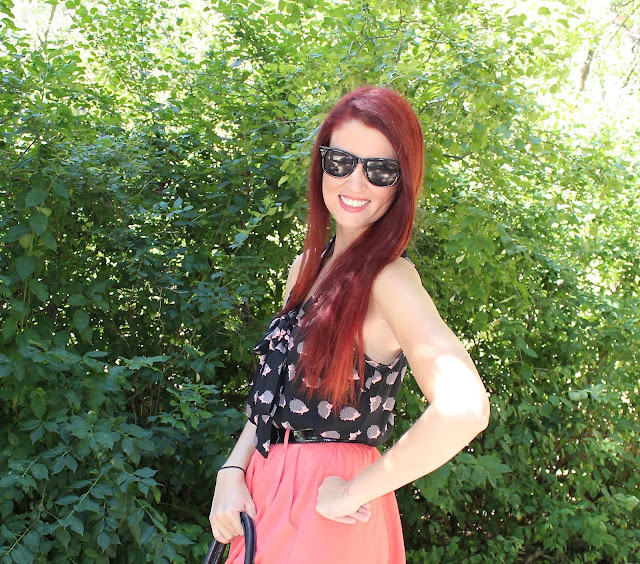 Love your outfit - the tank and skirt are perfect together, style and colour-wise! Hoping the ModCloth store event was cool!! Loving the color of that skirt, you look too darling!! I love your skirt.So pretty. You look so pretty in this bow tie blouse and this skirt is so adorable. Love the print as well.